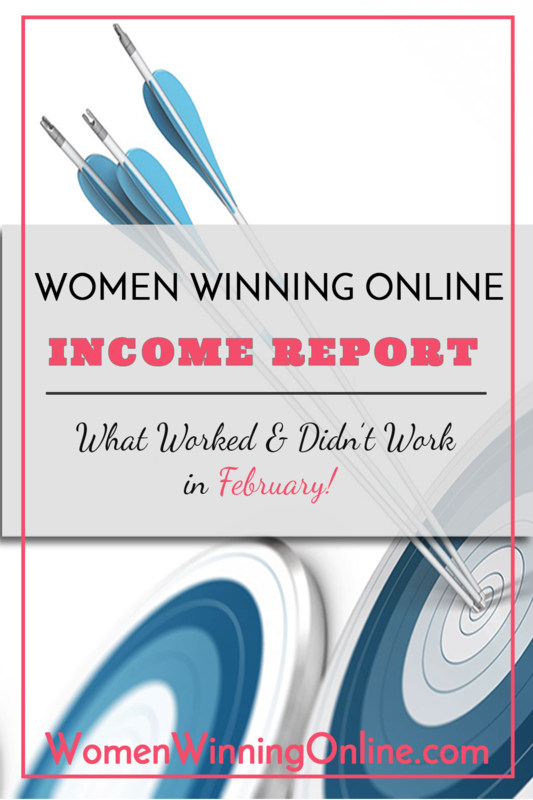 Every month I am going to do an income report for Women Winning Online. Just like you my goal with my blog is to grow it both with followers and financially. I love income reports because they help hold me accountable, show me what I have accomplished and where I need to grow. In my income reports I will also include what worked and didn’t work during the previous month and my goals for the next month. My hope is that my wins, losses and lessons will help you on your blogging journey too! In this part of the blog I will go over all income sources I have from this blog alone and not any of my other businesses. I do this to show you how it is possible to make money on a blog and to hold myself accountable! I don’t include any money that I have to hold back for paying taxes. Let’s start with the positives. Here is a list of what worked for me in February. On February 8th I officially kicked off this blog when I hit publish on my first post! I was excited, nervous and a bit sad all at the same time. Weird combination of feelings I know. I was excited because I am finally pursuing my passion. I was nervous because my passion is taking me out of my comfort zone of real estate into something new. After 27 years in the same industry that is scary let me tell you! And finally sad because I know that starting over with a blog means there are a lot of crickets at first. It is a strange mix of emotions but I am so excited about my new blogging journey! Takeaway: If you want to start a blog jump in and do it! Yes it will take you out of your comfort zone but the rewards feel amazing. If you worry that you have nothing to add to the blogging community or that blogging is dead check out my post of why that isn’t true. I have been apart of a few blogging Facebook groups over the last year In February I got more serious about participating in them. I started to ask questions and help others with their questions. Those tasks let me do what I love most which is help people. It also helped bring traffic to my blog. If you are looking for Facebook Groups my favorites groups at the moment are: Blog & Business: Moms Who Do It All, The Como Blog Community and Entrepreneurs Hothouse. Takeaway: Facebook Groups are a great way to connect with your target audience. They help you and you help them. It is a win-win for all! 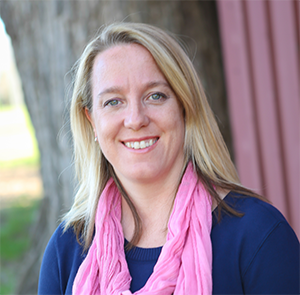 I am working through Ruth Soukup’s Elite Blog Academy and I love it! I am only through module 4 and have found so much information that is helping my blog grow already. One tip is to create a Pinterest Pin template with colors and text that match my blog. This helps with branding and recognition on Pinterest. It also saves me a ton of time when I create new Pins. Side note: Elite Blog Academy is closed for this part of 2016 and might open up in the fall. When it opens again I recommend you join. Definitely worth the money! Takeaway: There is an art form to creating a pretty pin. We are a visual society and you must create pins that match your brand and stand out from your competitors. Towards the end of February I joined a couple of Facebook Groups that are for group Pinterest boards. Sounds kind of weird but doesn’t it seem that all things social media begin and end on Facebook? Anyway there are Facebook Groups that help Pinterest users connect with group Pinterest Boards. I have linked up to five boards so far and it has helped bring traffic to my site. Takeaway: The more you can network with other bloggers the more your blog will grow. Pinterest is great at helping connect fellow bloggers. Take the time research Pinterest group boards that fit your niche. Before I began this blog I created an editorial calendar. This helped me a ton this month! It helped keep me consistent with my blogging which is important when you are first starting out. It also helped me to organize my thoughts and not write random posts. I think having an editorial calendar is important for any blogger. It helps bring order to your posts and and shows your followers that you have a plan to stick around. Takeaway: Organization, structure and a plan help a blog grow. By creating an editorial calendar you can stay true to a plan and stay consistent with your blogging. I participated in my first blog hop in February and it was a lot of fun! One of my Facebook Groups, Blog & Business: Moms Who Do It All, hosts a blog hop for her Facebook followers. This month the topic was balancing working at home and being a mom. This is a topic I know a lot about so it was fun to participate and share my tips with other bloggers. It was also fun to read other people’s posts and learn new ideas myself! I am always looking for ways to improve my working from home life so this was a fun subject for me. Now I must admit I had no idea what a blog hop was when I first signed up to do it. I was looking for any opportunity I could to connect so I jumped on this one! What I learned is that a blog hop is a group of several different blogs that write about the same topic from their own perspective. In this case it was balancing working from home. At the end of your post you add links to the other bloggers participating in the blog hop. The thought is if someone is interested in the topic they will hop around to other blogs that are sharing similar information. It is a way to build traffic and network with like-minded bloggers. A win-win for all! Takeaway: Look for new ways to grow personally and try something new with your blog even if you don’t know what you are doing. Also again take the time to connect with other bloggers. It’s more fun when we are all helping each other. The second week this blog was live it was nominated for a Liebster Award! How fun is that?! A Liebster Award is given to new bloggers that have less than 200 followers. That is definitely Women Winning Online. What I found is that the award was a fun way to let people know more about me and my blog. I also loved getting to know other bloggers and networking with them. The Liebster Award brought in a lot of traffic for WWO which was a nice bonus! Takeaway: I had to apply for this award to a few bloggers before I got accepted. Don’t be afraid to put yourself out there when you know you deserve a shot! At the end of February I did a Peek User Testing on this blog. I want to make sure it is structurally sound before I start to grow it. Wow did the feedback here help! My tester told me she loved the look and feel of my site. She loved what the content I would be writing about but she didn’t get where I was at right now. She loved the categories on my blog but was frustrated that they had no posts under them. That frustration caused her to get irritated with my site and click away. Not good! Takeaway: Don’t launch all your categories until you have posts to go with them! I want my visitors to know what my blog will be about, but irritating them by not having blog posts ready doesn’t accomplish that. Right now I have to stand on my name, tagline and current content until I can fill up the rest of the categories. I am adding categories as I publish new posts. My social media in February is all over the board. Sometimes I would post to my Facebook page, Twitter and Pinterest. Other days I would forget or get too busy. I would get some traction from social media but I know I will get more if I dedicate time to doing it. Takeaway: Build a plan around your social media and don’t randomly post. It’s a waste of time when it is done that way. Oh the pressure of being a blogger is intense for a Type A personality like myself. I have to write every day. I have to do social media every day. I have to comment every day. I have to network every day. And I have to do this while still running my other business. That’s a lot of pressure and enough to make a girl’s head explode! The third week of February I took myself off of the pressure cooker. With my old blog I didn’t do that. I wrote, marketed and networked that blog about everything else. That includes over my main priorities: God, my husband and my family. It put a strain on our marriage and made our home life stressful. I am not willing to go back there so I took myself off of the pressure cooker. Yes I will stay consistent but I won’t do it at the expense of my sanity or my family. I am giving myself grace not to be perfect. Takeaway: Blogging is a business and while I love it, it is not my whole life. It is okay not to be perfect and realizing that makes me a better wife, mother, friend and blogger. Also I live by the progress not perfection theory. I am making progress and it doesn’t have to be perfect. It just has to be progress. I have to tell you after spending 27 years in the real estate industry where everyone is out to stab each other in the back, bloggers are a breath of fresh air! I am blown away by how nice people are to each other and how much they are willing to help each other. Bloggers are my kind of people! But I feel as though I fell short this month helping my fellow bloggers. I need to do more pinning, commenting and sharing for my fellow bloggers. I want to be as good to other bloggers as they have been to me. Takeaway: Promoting other bloggers not only helps them but helps the blogging community as a whole. Also if I want my content to be shared I need to first do that for other bloggers. It’s selfish to do it any other way. I am a marketing woman through and through. I love making marketing plans and implementing them. Blogs, like any other business, need a marketing plan. Yet (gasp!) this blog doesn’t have one. It eats at me every single day. In order to grow your blog you must have a plan of how you are going to do that. Otherwise you are throwing ideas at the wall to see what works and doesn’t work. I can tell you from experience that leads to disaster. All you are doing is jumping from one marketing idea to the next and getting frustrated because nothing is working. Takeaway: If you don’t have a marketing plan sit down and take one hour to create a plan. Focus on three strategies to grow your blog. Once you have those three things going well add three more ideas. My writing schedule is a joke and it is stressing me out. I am fitting it in but that’s the problem right there. I am fitting it in. Instead I need to make a plan of when I am going to write so that writing is my first priority during my working hours. This will alleviate stress and allow me to create better posts. Takeaway: If you are a blogger writing posts is the most important part of what you do. Yet sometimes writing gets put on the back burner when we are busy or spend too much time promoting our blogs. Schedule time to write and make it the first priority during your work hours. For my lat blog I was the queen of opt-in offers and landing pages. It is killing me that I don’t have one done for this blog! I see all these people visiting my blog without giving me their email address. It is driving me crazy. I am working on an opt-in offer but I need to dedicate time to finishing it. Takeaway: The next important thing for a blog after writing consistent posts, is having an opt-in offer that will convert your blog visitors into email subscribers. If you don’t have a good opt-in offer spend 30 minutes a day building one. This simple marketing task will help your blog grow. How was your February? Are you on track to meet your blogging and business goals? Please share your wins and losses with me in the comments below! Thank you so much my friend! And thank you for following me over to my new platform 🙂 I hope it helps you with your blog! Thank you so much for your comment Jed! I hope you found some ideas you can use on your blog. I think it’s important to figure out what works and what doesn’t so that we don’t waste too much time on things that aren’t working for our blogs. Thank you for your comment Heidi! That is one thing I am learning is that I need to get more content on this site. I have such limited hours but really need to devote a lot of my time to content. And my email list. It is killing me not to have an opt-in offer on the site! Email lists are so important. In my last blog my email subscribers have been my most loyal fans and clients. Hoping to do the same with this blog! Love the detail in this! And yes I agree, it is a breath of fresh air to see how helpful bloggers are; I feel that’s in the definition of the name. 🙂 Thanks for putting this together! And congrats on launching your blog! Thank you so much Suzi! I feel like everyone is hooked in by the income reports but the best ones have a lot of lessons in them. That’s what I’m going for! Isn’t it so great how wonderful fellow bloggers are?! Not the “what’s in it for me attitude” like other professions. It has been a joy connecting with real people again. Thanks so much for commenting! Looking forward to connecting with you more! Jen, awesome stuff you have here! It’s great to see other bloggers sharing what did/didn’t work for them. I’ve been putting more time into networking and social media and it has definitely been paying off. It’s a little bit of work, but hopefully we’ll get more efficient at it as time goes on! Keep up the good work and I’m sure you’ll see numbers shoot up soon! Thank you for the kind words Jessica! I really enjoy the networking and social part of blogging. Working for and by yourself can be isolating. It’s nice to connect with other people that get it. This is awesome to see! I never thought to mention the “cents” I got with AdSense since it wouldn’t go into my account at all. But, I guess it is money and it will once it hits that trigger amount to be deposited. Thanks for your comment Brianna! Yup every penny counts when you are trying to make money at this blogging game!